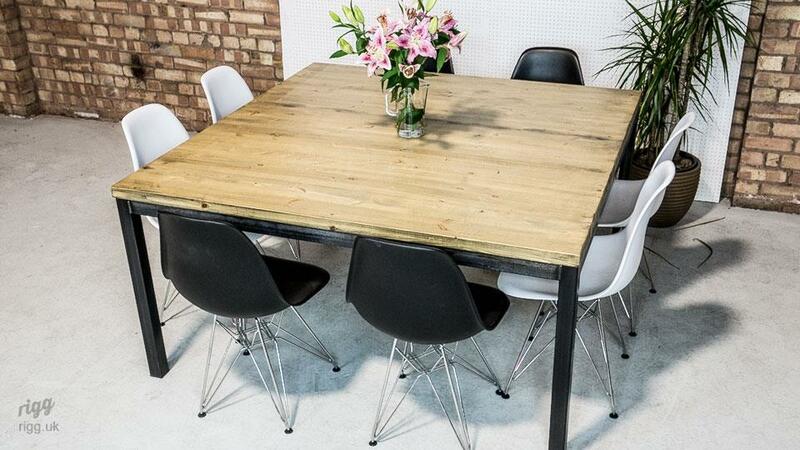 Our vintage industrial meeting table is great for a group to gather and share ideas. 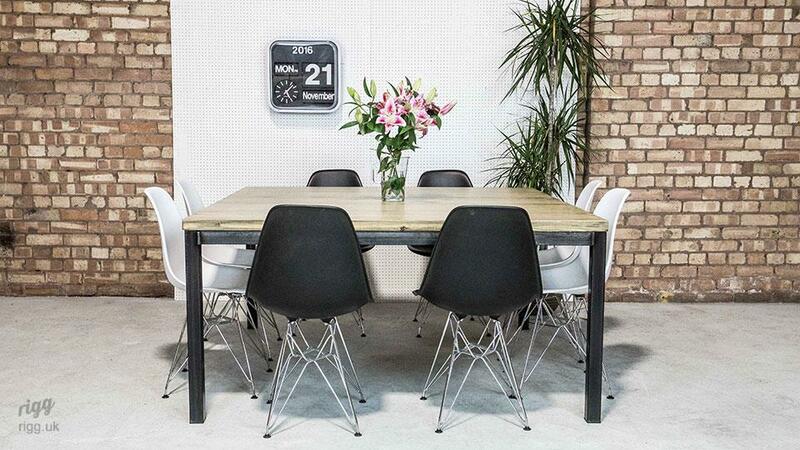 Two of your team can comfortably sit on each side with all people easily within view of each other. 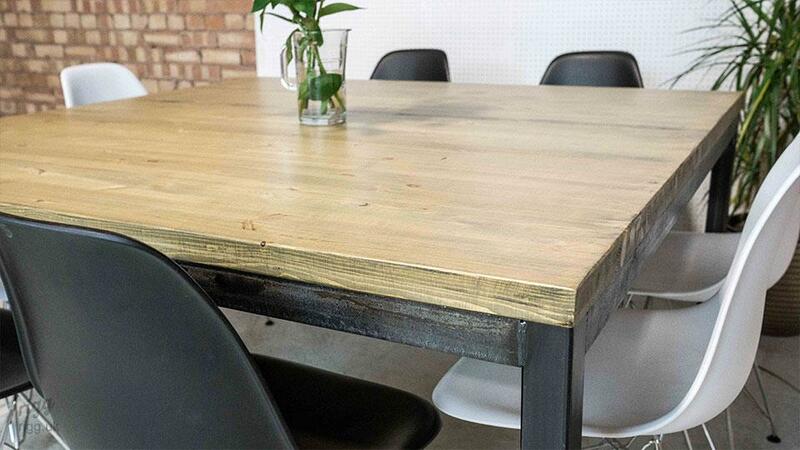 The rugged and rustic materials used in the table construction create an informal but purposful atmosphere, where everyone can feel involved and contribute. Whilst the top has bags of character, we still ensure it is smooth enough to be pleasant to use. 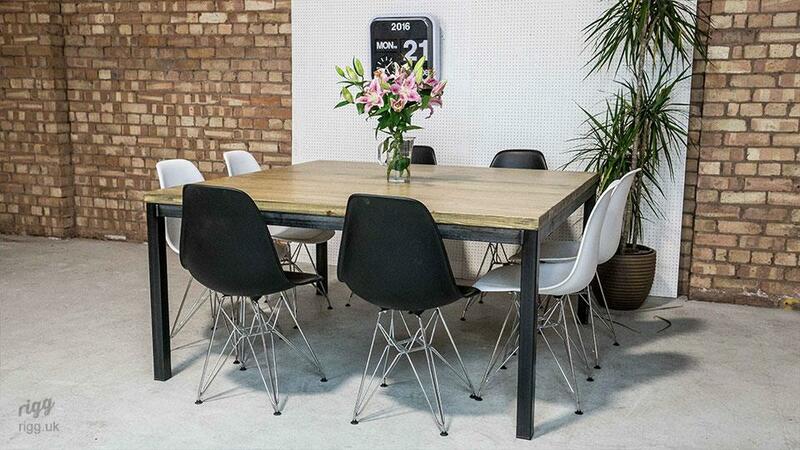 The square proportion of this vintage industrial meeting table ensures plenty of room in the centre for shared documents and materials. The legs are removable and the top is in 2 sections making installation a breeze.